Don’t make the mistake of buying cheap toenail trimmers. The steel in the blades of cheap cutters is not strong enough to cut toenails smooth, but rather “crushes” the nails, which can be very harmful to the interior parts of the toenail. Cutting the toenails too short will result in bleeding. Although it looks like a lot of blood, it really is not. It is impossible for a pet to “bleed to death” from a toenail trimmed too short. Commercial preparations are available to stop the bleeding. A simple home remedy is to push the bleeding nail down into a bar of soap. The soap will pack up into the nail putting pressure to stop the bleeding. The “quick” grows out as the toenail grows longer. Keeping the toenails cut short allows normal walking pressure to keep the “quick” short. If the toenails are not kept trimmed, the “quick” will grow out so far that the toenails cannot be trimmed back properly without making them bleed. In cases where this has happened, we recommend a toenail cautery procedure. 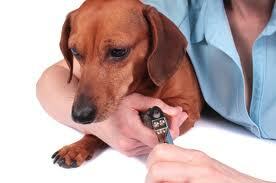 This procedure involves sedating the pet to prevent pain so the toenails can be cut back to proper length. After they are trimmed to proper length, the “quick” is cauterized to stop bleeding and seal the “quick” to prevent infection. Sometimes oral antibiotics are dispensed if nail bed infections were discovered at the time of the procedure. It is important after the procedure to keep the feet clean and dry for the next 7-10 days until healing occurs. Brush frequently to keep hair coat from matting. Clip toenails as needed to prevent overgrowth. Keep fresh water available at all times and monitor consumption. Monitor urine output by measuring wet litter. Keep other pets from preventing this senior pet from eating or drinking. Weigh on the same scale and record results at least every 2 month. Lameness that lasts more than 3 days, or lameness in more than one leg. Increasing inactivity especially increases in sleeping. Hair loss, especially if accompanied by scratching or if in specific areas of the body. 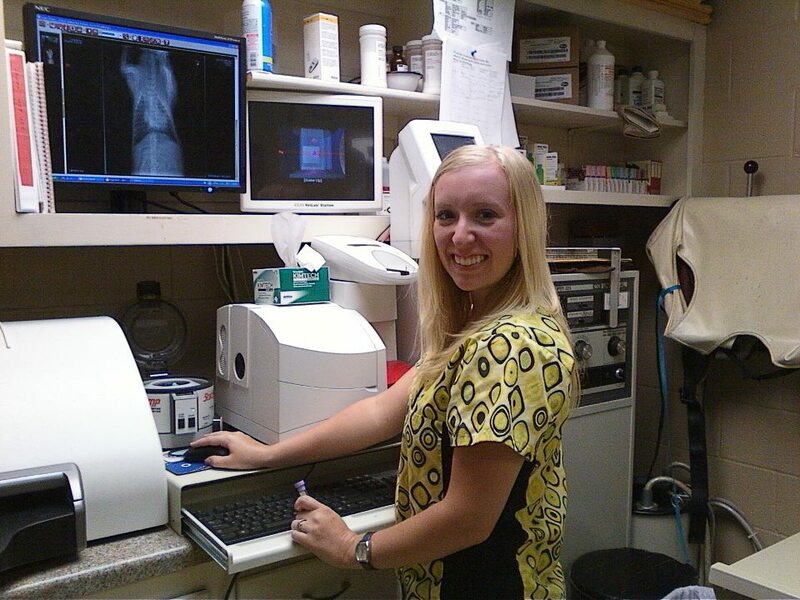 Since pets age 5-7 times faster than humans, it can be estimated that one physical examination for a pet is equivalent to one exam every 5-7 years in humans. The exam should include a very detailed medical history along with a “nose to tail” physical examination. In later years, a comprehensive physical examination should be performed every 6-12 months depending on any specific medical problems discovered in your pet. This screening should include an ECG screening and glaucoma screening. Feed the highest quality cat food you can afford. Read labels carefully. Ideal diets for senior pets would have less sodium and fat, and more fiber than regular adult foods. Higher quality and premium foods are more digestible and result in less stool volume. 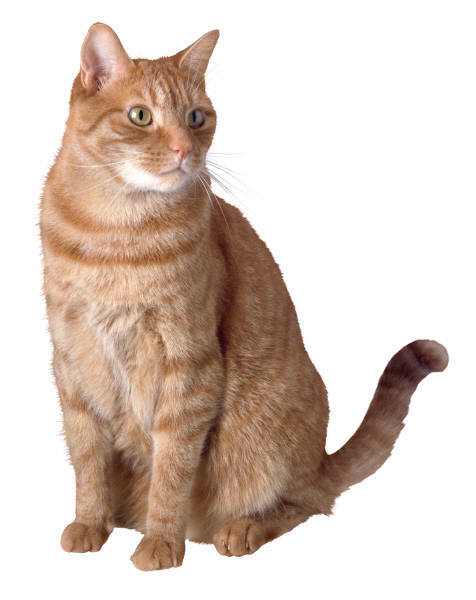 Constipation is a common and uncomfortable problem in older cats. The fiber content is very important—and supplements may be needed as well. Do not constantly switch brands of food. Older cats are more prone to dietary upset from too much variety in the foods they eat. If a specific medical condition is diagnosed, a specific prescription diet may be best for your pet. 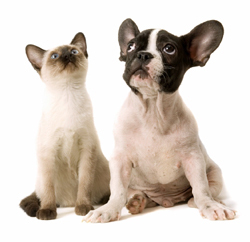 Vitamin supplements help keep the skin healthy and may enhance the pet’s immune system. Fatty acid supplements may be useful for skin problems, arthritis, & inflammatory bowel disease. Do not feed table scraps or snacks unless formulated for the senior pet. New pet treats are now available from the clinic that is very palatable as well as healthy for your pet. CAUTION: Be sure your older cat does not have to compete for food with other pets. You may need to feed older animals separately to ensure they are receiving their fair share. Sustained, significant increase in wet litter. Significant decrease in appetite or failure to eat for more than 2 consecutive days. 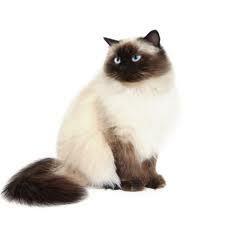 Difficulty in passing stool or urine or prolonged sitting in the litter box. Change in litter box habits, especially if inappropriate urination or defecation occurs. Masses, ulcerations (open sores), or multiple scabs on the skin that persists more than 1 week. Foul mouth odor or drooling that lasts more than 2 days. Increased size of the abdomen. Reluctance or inability to chew dry food. PROPER NUTRITION: Proper nutrition maximizes the body’s potential to perform at its best, as well as fight off disease. THINK QUALITY: With pet foods, you get what you pay for. Cheap pet foods use cheap ingredients, have poor quality control, are not well digested, and may have excesses or deficiencies in vital nutrients can cause harm.When analyzed by independent laboratories, cheap foods frequently do not have the level of nutrition stated on the label. Choosing a well-known brand is the best insurance of proper nutrition. PETS DO NOT NEED VARIETY: Your pet will do best if you pick one complete food that is appropriate for their age and activity level, and stick with it. Changes in brands of food often causes digestive upsets, such as vomiting and/or diarrhea. Pets also tend to become finicky eaters when fed a varied diet, causing problems for their owners later on. Any time you do switch brands of food, it should be done gradually by mixing the two diets together for a few days slowly decreasing the old diet with the new diet. DRY FOOD IS BEST FOR TEETH & GUMS: The only difference in a canned food is that it contains more water, which does enhance the flavor and smell. When you buy a canned food, you are buying 80% water. 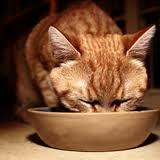 It is ok to supplement the dry food with a little canned food, as long as you pick a good one and don’t overdo it. A secret: warming the food in a microwave or wetting the dry food with hot water releases the outer coating of the food which generates a lot more flavor. Most foods are sprayed with an outer chicken coating during processing. Dry food is also a lot more economical to feed. 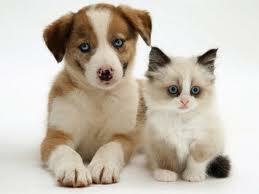 FEED A FOOD DESIGNED FOR YOUR PET’S LIFE STAGE: Puppies and kittens should be fed foods labeled for young, growing pets. 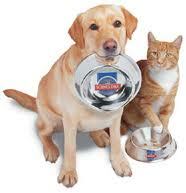 Adult pets should be fed a food that is properly balanced for maintenance of health rather than for growing. Foods designed for young growing pets can easily cause obesity in the mature or senior pet. Free-Choice Feeding is discouraged because of the tendency toward obesity. WHAT ABOUT PREMIUM FOODS? Premium foods contain superior nutrition over grocery store brands. They are extensively tested and meet rigid standards with no ingredient substitutes. The finest pet foods are formulated with controlled levels of key nutrients like fat, protein, phosphorus, and magnesium to help reduce the risk of such problems as obesity and kidney disease. Better foods may cost more per bag, but the superior nutrition and better digestibility of these foods means you feed less per day, you clean up less stool later, and your veterinary bill for nutritionally-related diseases will be reduced. WHAT ABOUT TREATS? Many over-the-counter treats are full of salt and other bad stuff! We recommend Prescription Diet t/d as a treat because it is nutritionally balanced and will help keep the teeth clean. C.E.T. Chews are available at the clinic and incorporate enzymes into the rawhide that chemically help keep the teeth clean. During the holidays, people often consider giving a pet as a gift. Choosing a pet carries responsibility along with pleasure. This means that you should take the time to become aware of what being a pet owner means. How much space do I have for an animal? How much money will it cost me food/Vet/toys, etc.? What’s your real purpose in choosing a pet? Companionship? Protection? How much time do you have to devote? Do you travel for business? Who will take care of him/her when I am gone? Do I have older/younger/grumpy/shy pets already that would not appreciate a new member of the pack? Whatever you do, it’s important to do everything possible to make sure you wind up enjoying the results of your decision. In some cases, you can wind up disappointed or in a terrible fix if the decision you make turns out to be wrong. For example, a longhaired cat that requires lots of daily brushing may be hard to fit into your hectic day-to-day schedule. Or a dog that turns destructive or isn’t housebroken can be even more disastrous if you live alone in a small apartment and work long hours. Or do you have small children? Some pets can be moody and irritable around youngsters.Or a child can unintentionally hurt some small breeds by squeezing them too hard. If you’re selecting a cat or dog from a litter, ask to see the entire litter and the mother. The most active and curious are the ones that make the best pets. One that growls or resists your handling is not a good prospect. Don’t let sympathy sway your judgement. Rescue groups and local shelters are a great place to start your search for a new pet. Visit www.animalaid.org, www.okwestierescue.com and www.pet-adopt.org. Also, remember veterinarians make good, friendly advisors. We’ll be glad to help you make the best possible decision In fact, if you buy a pet, ask to bring the pet in for a complete check-up before buying.